A corporate scandal has plunged the legacy of auto industry legend Carlos Ghosn into doubt. The Nissan chairman was arrested in Japan Monday and accused by his own company of “significant” financial wrongdoing over many years. Nissan said an internal investigation found evidence that Ghosn had understated his income and misused company assets. 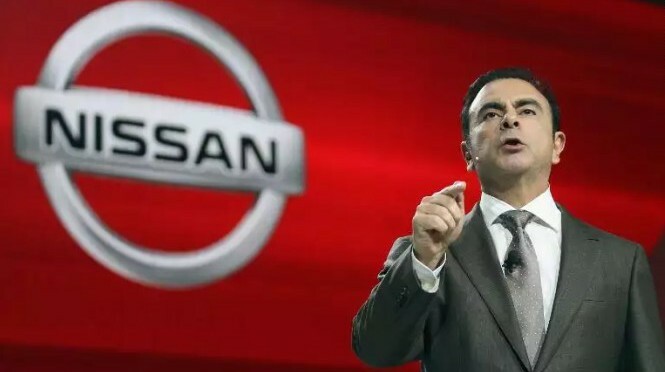 The Nissan board of directors would be asked to remove Ghosn as chairman on Thursday. The stage is now set for the spectacular downfall of an industry titan heralded as a visionary leader. Ghosn is also chairman of Renault (RNSDF) and Mitsubishi Motors (MMTOF). The three companies work together in an unusual and powerful global alliance. Ghosn was the driving force behind its creation. The alliance employs 470,000 people, operates 122 plants and sold over 10 million vehicles in 2017. The Brazilian-born executive joined Nissan in 1999 when it formed an alliance with Renault, but he kept his responsibilities at Renault as part of an unusual arrangement. Ghosn is also credited with executing a stunning turnaround at Nissan and was named its chief executive in 2001. The toughest turnaround job was at Nissan, Ghosn wrote in the Harvard Business Review in 2002. Ghosn set about changing the culture at Nissan, eliminating automatic promotions for veteran employees. He slashed thousands of jobs at the carmaker and closed plants. “Turning around a company in Nissan’s state is a bit like Formula 1 racing,” he wrote in the Harvard Business Review. He was made CEO of Renault in 2005, becoming the first executive to run two Fortune Global 500 companies simultaneously. The companies own shares in one another. Ghosn turned his attention to Mitsubishi in recent years. He became chairman of the smaller Japanese automaker in 2016, when Nissan (NSANY) took a controlling stake in Mitsubishi after it was rocked by a mileage falsification scandal. Ghosn’s latest project was to deepen ties between Renault, Nissan and Mitsubishi. The alliance structure, which allows the companies to pool resources and share costs, has been explored by other carmakers in recent years. Analysts say consolidation is needed for automakers to fend off tech companies and upstarts like Tesla (TSLA), which are plowing money into electric and autonomous cars. “We created a lot of synergies, and scale is the name of the game. But I respect that some stakeholders are saying, ‘Hey, wait a minute, what’s gonna happen after you’re gone?’ ” he told the newspaper. Ghosn had been expected to step down as CEO of Renault before his term expires in 2022. But accusations of wrongdoing could accelerate that timetable — and force Ghosn to cede control of the alliance he created. Renault said its board would convene “very shortly” to discuss Nissan’s revelations. Mitsubishi said it was proposing that its board “promptly” remove Ghosn from that position.